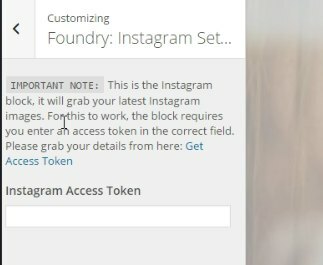 The reason behind this change was due to limitations in the Instragram API which limit the number of requests an account can make, and as we originally used a key linked to our account, this limit was quickly being reached – so to ensure a hassle-free experience when using our Instagram Feed elements we now allow for you to supply your own API key for continuous use. The process itself is very straight forward. Within your WordPress admin panel, head to Appearance > Customize > Instagram Settings. From here, click the Get Access Token link in the description provided. 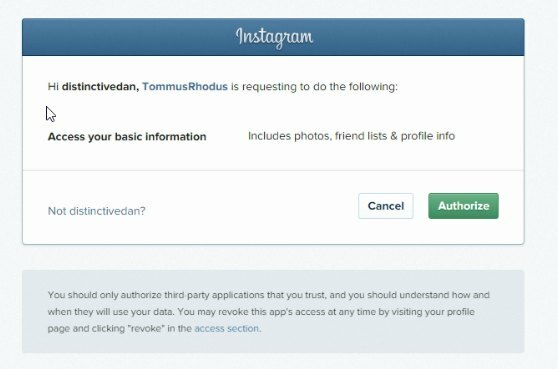 This will take you to a sign in page for Instagram and then ask you for permission for the theme to use your account – click authorise to continue. NOTE – this authorisation only allows the theme to access and display your recent images, no other information is used/available to use. Next, you will be redirect to our homepage, however you will notice in the URL bar we have a special access token (the letters/numbers after #access-token) – simply copy this code into the available area in the theme options and your all set.